First, I would like to provide some background for this project. Here goes. In my youth, I had become keenly interested in a particular visionary/designer's work and approach to surfboard design, boats, photography, etc. After observing his work of designing and building custom adaptations for a 16' Boston Whaler, a 37' Santana sailboat, a "gondola"( a hand powered launch for said Santana), and a 16' stitch and glue skiff, I had decided I wanted to build a copy of his 16’ stitch and glue plywood skiff. 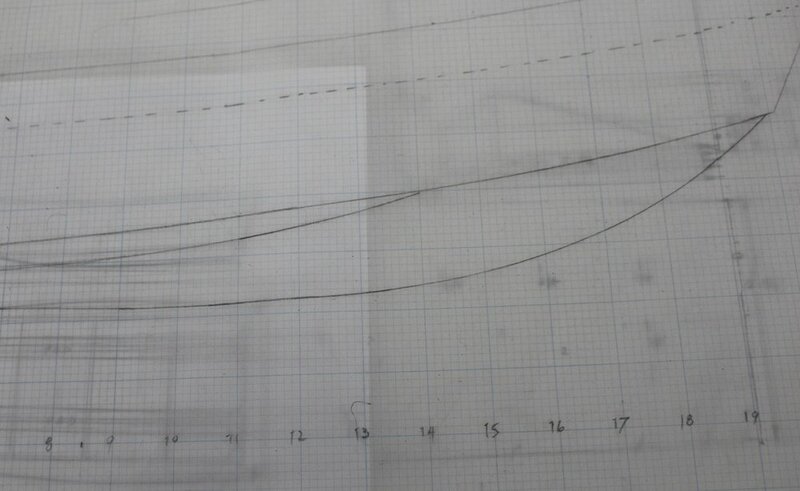 Sometime in the mid-1970s after being given a set of plans (original drawings of which I still have a copy) from said visionary/designer, I set out to build my first boat. It seemed simple enough: a set of lines, sheets of plywood, fiberglass and resin, and a few tools. Well, to make a long story short, I never did finish the project, but I did learn some things that proved to be invaluable later. I learned how to execute a marine plywood scarf joint, how to loft a set of lines to full scale, and, that building a proper boat was a lot of work and required a lot of planning! After some 40 plus years, I still consider this particular design to be of superior seaworthiness for a small boat. And, after decades of building and modifying boats and designing and fabricating equipment and machinery for California and Alaskan commercial fisheries, I decided once again to build myself a "version” of what I’ll refer to heretofore as “The Boat". If you happen to be a surfing history buff, you probably already know that the above mentioned visionary/designer is George Greenough. I recently contacted him through a mutual friend to ask permission to mention him in this story. George agreed and I am honored that he will be following. In the process of deciding to move forward with the project, I contacted a longtime acquaintance, Bill Anderson, a Santa Barbara boat builder who has commercially built many of George's designs in the 17' to 21' length range. Bill gave me a set of drawings of his molded hull to study so that I could determine if one of his hulls could be modified within a comfortable design parameter to fit my intended use. I considered building a one-off hull constructed of plywood or foam sandwich panels, but decided I did not want a plywood/glass hull or all the fairing involved with a total one-off (a non-molded one of a kind part). After due consideration, I contracted Bill Anderson to layup a 21' hull for me and I began work on the project. While doing this build I will be changing some of the proportional relationships of the original design, while still staying well within norms of naval architecture and yet remaining complimentary to its intended function and performance requirements for the resident seaway. So at the outset, let it be known that there will be a George Greenough hull design buried inside of this vessel. Thanks to George for the inspiration! In the next episode we'll begin the process.